... he was 66 years old when he died after a heart attack. David Thomas Jones was born in Manchester, England in 1945. After his mother died, his father sent him to live with jockey Basil Foster as an apprentice. Foster recognized Jones' acting and singing ability, and encouraged him to pursue his acting career. When Foster was approached by a friend who was a casting director, for a theatre on the West End of London, Basil told him, "I've got the kid." As a teenager he appeared on British TV soap operas, including Coronation Street as Ena Sharples's grandson, Colin Lomax. 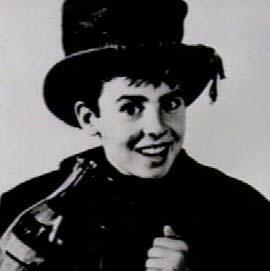 He was nominated for a Tony Award for his portrayal of the Artful Dodger in the musical Oliver! He played the role in London and on Broadway. Somewhat ironically - maybe prophetically is a better word - he appeared with the Broadway cast of Oliver! on the Ed Sullivan Show, on the same night The Beatles made their first appearance. Jones says of that night, "I watched the Beatles from the side of the stage, I saw the girls going crazy, and I said to myself, this is it, I want a piece of that." Following his Ed Sullivan appearance, Ward Sylvester of Screen Gems, at the time, the television division of Columbia Pictures, signed Jones to a contract. A pair of American television appearances followed in episodes of Ben Casey and The Farmer's Daughter. He also recorded a single and album for Colpix Records, which charted but weren't huge hits. From 1965 to 1971, Jones was a member of The Monkees, a pop-rock group formed expressly for a TV show of the same name. 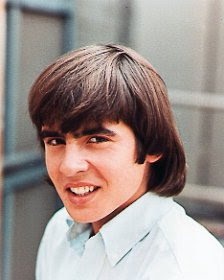 He was the only Monkee who had signed a deal with Screen Gems, the studio that produced the series. 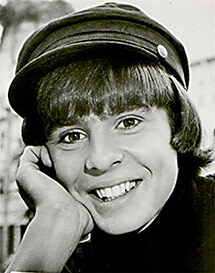 As a Monkee, Jones sang lead vocals on many of the group's songs, including "I Wanna Be Free" and "Daydream Believer." After the show went off the air and the group disbanded, he continued to perform solo, while later joining with fellow-Monkee Micky Dolenz and songwriters Tommy Boyce and Bobby Hart as a short-lived group called Dolenz, Jones, Boyce & Hart. 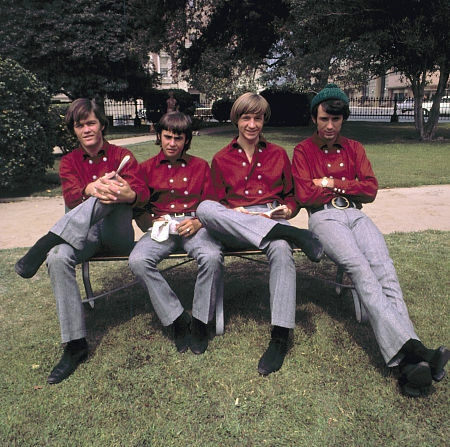 He has also toured throughout the years with other members as various incarnations of the Monkees. In 1978 he appeared with Micky Dolenz in Harry Nilsson's play The Point at the Mermaid Theatre in London. Jones continued acting and appeared in one episode of The Brady Bunch, two episodes of My Two Dads, and two episodes of Love, American Style. He also appeared, in animated form, on an episode of The New Scooby-Doo Movies. Also, Jones made a cameo appearance as himself in the SpongeBob SquarePants episode "SpongeBob vs. The Big One," and Boy Meets World. In 1997 he guest-starred as himself on the TV Show Sabrina The Teenage Witch and sang "Daydream Believer" to Sabrina, played by Melissa Joan Hart. In recent years, Jones performed with his former bandmates in reunion tours and appeared in several productions of Oliver!, this time as Fagin. He continued to race horses with some success in his native England, while residing in Beavertown, Pennsylvania in the U.S. In April 2006, Jones recorded the single "Your Personal Penguin," written by children's author Sandra Boynton, as a companion piece to her new board book of the same title. ... she was 48 years-old when she died in Los Angeles. 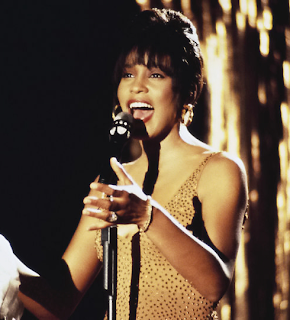 Whitney Elizabeth Houston is the most awarded female act of all time. She has won two Emmy Awards, six Grammy Awards, 30 Billboard Music Awards, 22 American Music Awards, among a total of 415 career awards as of 2010. Houston is also one of the world's best-selling music artists, having sold over 170 million albums and singles worldwide on relatively few releases. As of 2011, Houston has released seven studio albums and three movie soundtrack albums, all of which have diamond, multi-platinum, platinum, or gold certification. Whitney Houston was born in Newark, New Jersey. 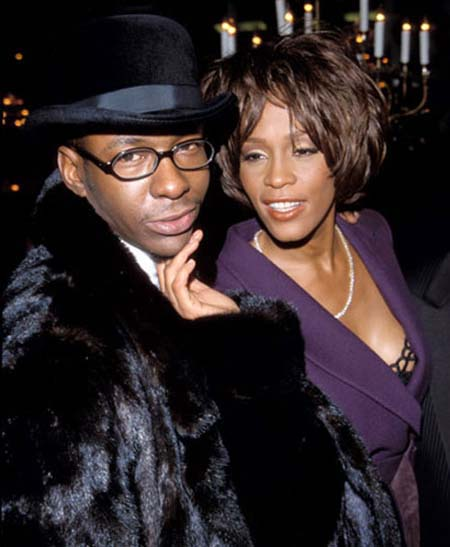 It was only natural for Whitney to follow in the footsteps of the notable figures in the gospel, rhythm and blues, pop, and soul singers in her extended family. They included mother Cissy Houston cousins Dionne Warwick and Dee Dee Warwick, as well as her godmother, Aretha Franklin. At the age of eleven, Houston began to follow in her mother's footsteps and started performing as a soloist in the junior gospel choir at the New Hope Baptist Church in Newark, where she also learned to play the piano. Houston spent her early teenage years touring nightclubs where her mother Cissy was performing, and she would occasionally get on stage and perform with her. In 1977, at age 14, she was a backup singer on the Michael Zager Band's single "Life's a Party." In 1978, at age 15, Houston sang background vocals on Chaka Khan's hit single "I'm Every Woman," a song she would later turn into a larger hit for herself on her monster-selling The Bodyguard soundtrack album. She also sang back-up on albums by Lou Rawls and Jermaine Jackson, and appeared as a lead vocalist on a Paul Jabara album, entitled Paul Jabara and Friends, released by Columbia Records in 1983. In the early 1980s, Houston started working as a fashion model after a photographer saw her at Carnegie Hall singing with her mother. She appeared in Seventeen and became one of the first women of color to grace the cover of the magazine. She was also featured in layouts in the pages Glamour, Cosmopolitan, Young Miss and appeared in a Canada Dry soft drink TV commercial. Her striking looks and girl-next-door charm made her one of the most sought after teen models. While modeling, she continued her burgeoning recording career by working with producers Ben Dover, Bill Laswell and Martin Bisi on an album they were spearheading called One Down, which was credited to the group Material. Several times, Houston had been offered recording contracts. In 1983, Gerry Griffith, an A&R representative from Arista Records saw her performing with her mother in a New York City nightclub and convinced Arista's head Clive Davis to offer her a recording contract which Houston signed in 1983. Houston first recorded a duet with Teddy Pendergrass entitled "Hold Me" which appeared on his album, Love Language. The single was released in 1984 and gave Houston her first taste of success, becoming a Top 5 R&B hit. It would also appear on her debut album in 1985. Houston's self-titled debut album was released in February 1985. Rolling Stone magazine praised the new talent, calling her "one of the most exciting new voices in years." The first single, the dance-funk "Someone For Me," failed to chart in the US and UK. The next single, "Thinking About You," reached the top ten of the US R&B Chart, as the album sold modestly. The release of the next single, the soulful ballad "You Give Good Love," peaked at #3 on the U.S. Billboard Hot 100, and went to #1 on the R&B Charts. As a result, the album began to sell strongly. The jazzy ballad "Saving All My Love for You" was released next and it would become Houston's first #1 hit single in both the US and the UK. At the time, MTV had received harsh criticism for not playing enough videos by African-American artists while favoring rock acts. The next single, "How Will I Know," peaked at #1 and introduced Houston to the MTV audience because of the video. This would make the singer the first African-American female artists to receive heavy rotation on the network. 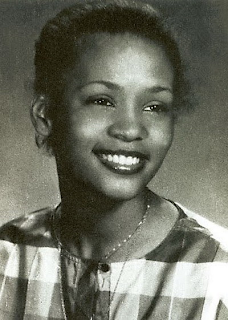 By 1986, a year after its initial release, Whitney Houston topped the Billboard 200 album chart and stayed there for 14 non-consecutive weeks. The final single, "Greatest Love of All," became Houston's biggest hit at the time after peaking #1 and remaining there for three weeks. At the time, it was the best-selling debut album by a female artist. The album had become an international success, and was certified 13x Platinum (diamond) in the U.S. alone, and has sold a total of 25 million copies worldwide. At the 1986 Grammy Awards, Houston was nominated for three awards including Album of the Year. She won her first Grammy award for 'Best Pop Vocal Performance, Female' for "Saving All My Love for You." 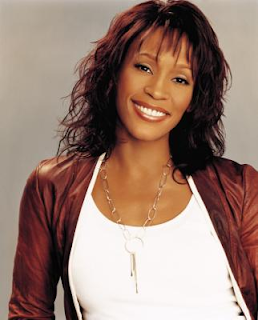 Her second studio album, Whitney, released in 1987, became the first album by a female artist to debut at number one on the Billboard 200 albums chart. Houston achieved crossover appeal on the popular music charts and was often featured on MTV, starting with her video for "How Will I Know." Houston's first acting role was as the star of the feature film The Bodyguard in 1992. The movie's original soundtrack won the 1994 Grammy Award for Album of the Year. 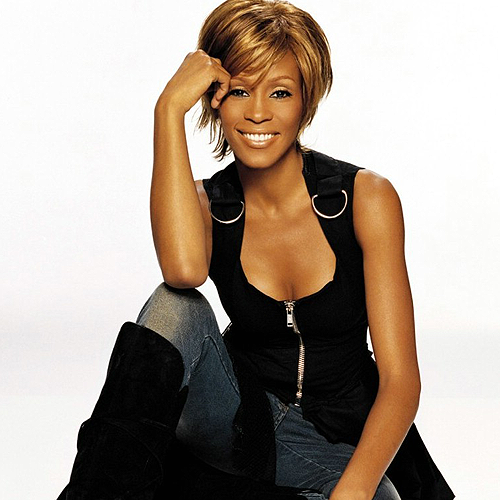 Its lead single, "I Will Always Love You," became the best-selling single by a female artist in music history. The album makes her the only female act ranked in the list of the top-10 best-selling albums, at number four. Houston continued to star in movies and contribute to soundtracks, including with the films Waiting to Exhale and The Preacher's Wife. Three years after the release of her fourth studio album, My Love Is Your Love, she renewed her recording contract with Arista Records. She released her fifth studio album, Just Whitney, in 2002, and the Christmas-themed One Wish: The Holiday Album in 2003. Amid widespread media coverage of personal and professional turmoil, Houston ended her 14-year marriage to singer Bobby Brown in 2006. In 2009, Houston released her seventh studio album, I Look To You. ... born on July 6, 1925, he was 55-years-old when he passed away. 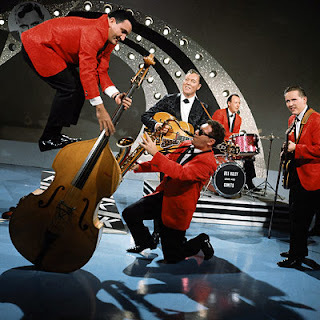 Bill Haley is credited by many with first popularizing this form of music in the early 1950s known as “Rock and Roll” with his group Bill Haley & His Comets (inspired by Halley's Comet.) He has sold over 100 million records worldwide. 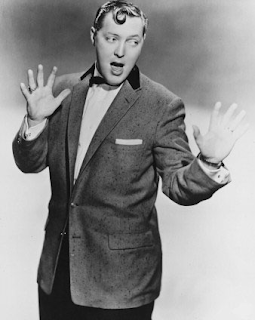 William John Clifton "Bill" Haley was born in Highland Park, Michigan but moved to Boothwyn, PA, when he was seven years old. Haley told the story that when he made a simulated guitar out of cardboard, his parents bought him a real one. 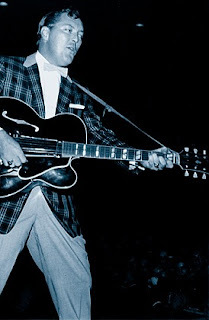 According to the sleeve notes accompanying the 1956 Decca album Rock Around The Clock, Haley got his first professional job at the age of 13, playing and entertaining at an auction for the fee of $1 a night. Very soon after this he formed a group and managed to get quite a few local bookings for his band. 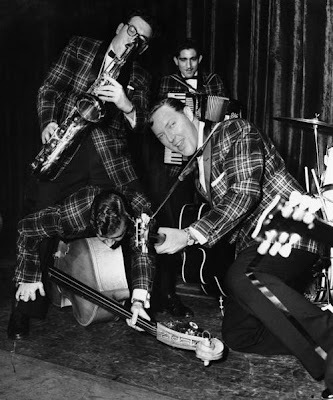 When Bill Haley was fifteen he left home with his guitar and very little else and set out on the hard road to fame and fortune. The next few years, he worked at an open-air park show, sang and yodelled with any band that would have him and worked with a traveling medicine show. Eventually he got a job with a popular group known as the "Down Homers" while they were in Hartford, Connecticut. During the 1940s Haley was considered one of the top cowboy yodelers in America as "Silver Yodeling Bill Haley.” The sleeve notes conclude: "For six years Bill Haley was a musical director of Radio Station WPWA in Chester, Pennsylvania, and led his own band all through this period. It was then known as Bill Haley's Saddlemen, indicating their definite leaning toward the tough Western style. 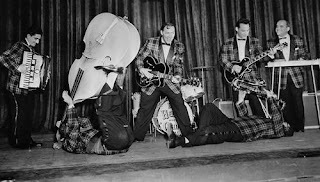 They continued playing in clubs as well as over the radio around Philadelphia, and in 1951 made their first recordings." During the Labor Day weekend in 1952, The Saddlemen were renamed Bill Haley with Haley's Comets and in 1953, Haley's recording of "Crazy Man, Crazy" (co-written by Haley) became the first rock and roll song to hit the American charts, peaking at Number 15 on Billboard and Number 11 on Cash Box. Soon after, the band's name was revised to Bill Haley & His Comets. In 1953, a song called "Rock Around the Clock" was written for Haley. He was unable to record it until April 12, 1954. Initially, it was relatively unsuccessful, staying at the charts for only one week, but Haley soon scored a major worldwide hit with a cover version of Big Joe Turner's "Shake, Rattle and Roll,” which went on to sell a million copies and became the first ever rock 'n' roll song to enter British singles charts in December 1954 and became a Gold Record. He retained elements of the original, but threw some country music aspects in to the song (specifically, Western Swing) and cleaned up the lyrics. Haley and his band were important in launching the music known as "Rock and Roll" to a wider, mostly white audience after a period of it being considered an underground genre. When "Rock Around the Clock" appeared behind the opening credits of the 1955 film Blackboard Jungle starring Glenn Ford, it soared to the top of the American Billboard chart for eight weeks. The single is commonly used as a convenient line of demarcation between the "rock era" and the music industry that preceded it. Haley fought a battle with alcohol into the 1970s. Nonetheless, he and his band continued to be a popular touring act, enjoying a career resurgence in the late 1960s with the Rock and roll revival movement and the signing of a lucrative record deal with the European Sonet Records label. 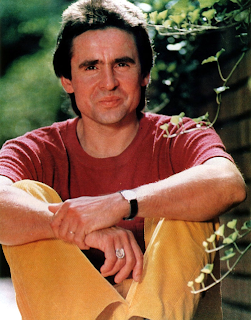 After performing for Queen Elizabeth II at a command performance in 1979, Haley made his final performances in South Africa in May and June 1980. Prior to the South African tour, he was diagnosed with a brain tumor, and a planned tour of Germany in the fall of 1980 was canceled. 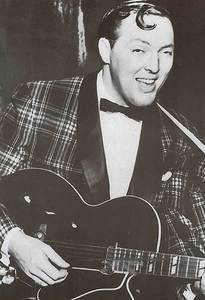 Bill Haley recorded prolifically during the 1940s, often at the radio stations where he worked, or in formal studio settings. Virtually none of these recordings were ever released. Haley was posthumously inducted into the Rock and Roll Hall of Fame in 1987. Haley's original Comets still tour the world. They released a concert DVD in 2004 on Hydra Records. ... she was 32 years old when she passed away. 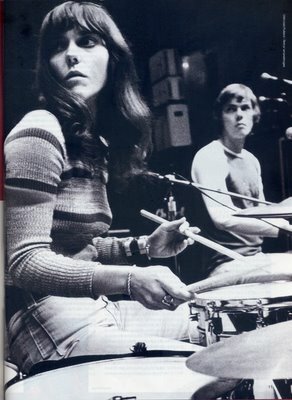 Karen Anne Carpenter and her brother, Richard, formed the 1970s duo named the Carpenters. 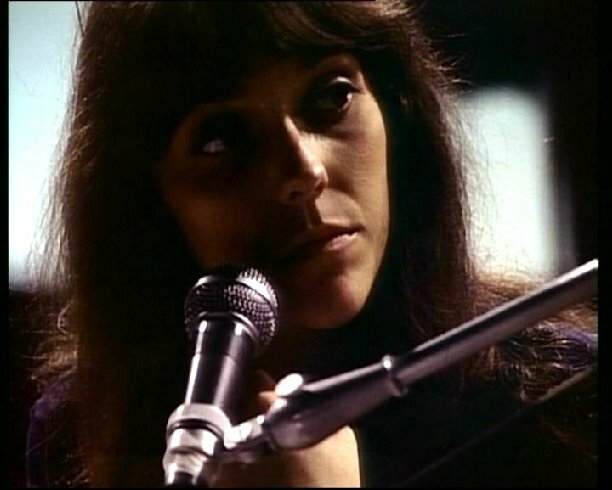 Karen was a skillful drummer, but is best remembered for her vocal performances. Unfortunately, she suffered from anorexia nervosa, a little known disease at the time, and died at the age of 32 from heart failure, later attributed to complications related to her illness. 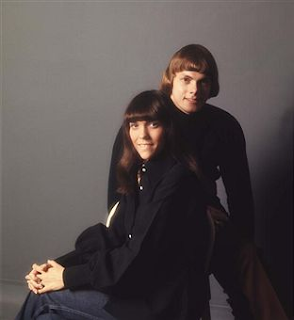 The Carpenters were the biggest-selling group of the 70s. No fewer than ten of their singles went on to become million-sellers, and by 2005 combined worldwide sales of albums and singles well exceeded 100 million units. While Richard had an interest in music from a very early age Karen initially showed no musical inclinations other than listening to records. 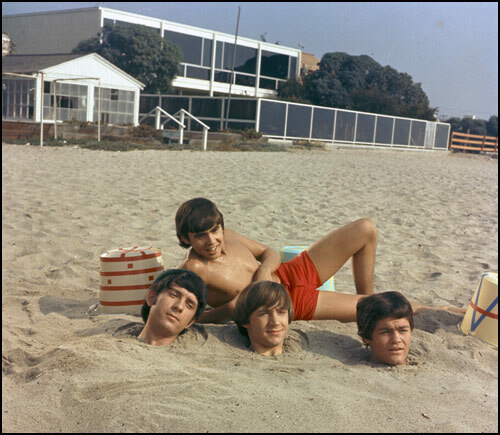 She was barely into her teens when in 1963 the whole family moved to the Los Angeles suburb of Downey.